Boston Marathon is soon 18 weeks away! Hamstring is getting better bu I have been having some issues with tightness and grumpiness. I have been able to run bun have been moving forward slowly this week in order to put not to much stress on it. I got a nasty tick bite 2 weeks ago and was put on heavy antibiotic. Not sure if that had anything to do with my grumpy hamstring but over all I felt very tired. I'm trying not to over do the foam rolling and stretching but I have to admit its very tempting to give it an extra push with the foam roller after a run (sorry Caleb). So Monday it is 18 weeks til Boston and I hope to be back soon doing some quality work outs and get the mileage up. I proud to announce that I'm going to represent Feetures! socks during 2014 as an ambassador. I have been using their elite socks for years now, so I'm really exited to represent them an an ambassador. Feetures! Gives you a really close, snug feeling and you don't have to worry about chafing. The Elite socks comes in different cushioning ?thickness. 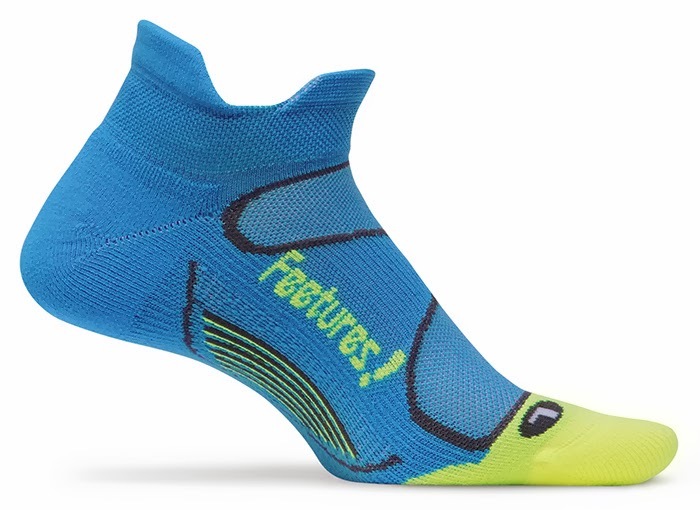 I really like the Ultra light sock, snug fit and as I like the road feel when running, the Feetures! does not interfere with that feeling. As the tempreatures get stiffer here in NJ, I'm going to use the Merino wool version of the Elite. Nothing beats wool when the freezing temps are biting your toes. 50 000 visitors is getting closer for therunningswede.com! This week the blog will pass 50 000 visitors...Thank you all who has visited the blog during 2013 and A big thank you to all my friends at Skechers Performance Division for all support!